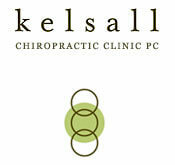 We are pleased to introduce Wally Walsh as part of our team at Kelsall Chiropractic. Wally has now been a bodywork professional more than 17 years, with over 12,000 hours of hands-on experience. He has worked successfully with a diverse population of people, including professional athletes, expecting mothers, ‘weekend warriors’, stressed out office workers, actors, musicians, and children. In June of 2014, he completed a four year training to program to become a Certified Feldenkrais® Practitioner, which has greatly expanded his capacity to help clients move better and feel better. “For many years, I have been fascinated by how bodies move, feel and function​.​ ​On a daily basis, I get the pleasure of witnessing human potential in action as I see clients change, adapt, and expand their ability to thrive.​ I’m truly fortunate to have a career that profoundly affects people in such a positive way”.